*Full on presence with the spike head! 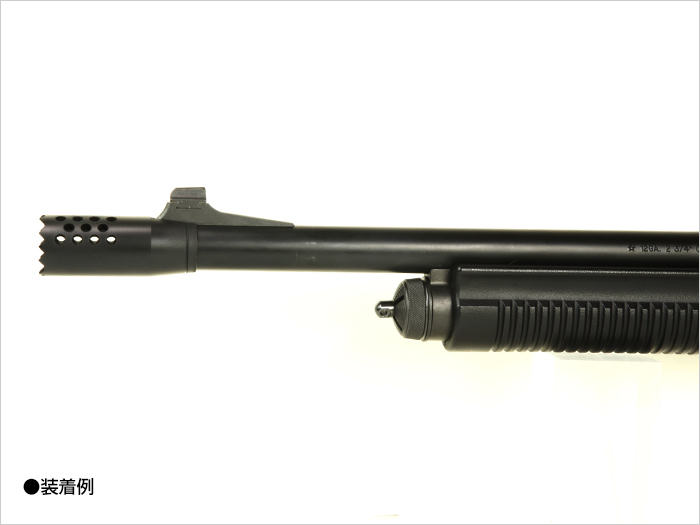 *Intensify the M87 for an aggressive image! 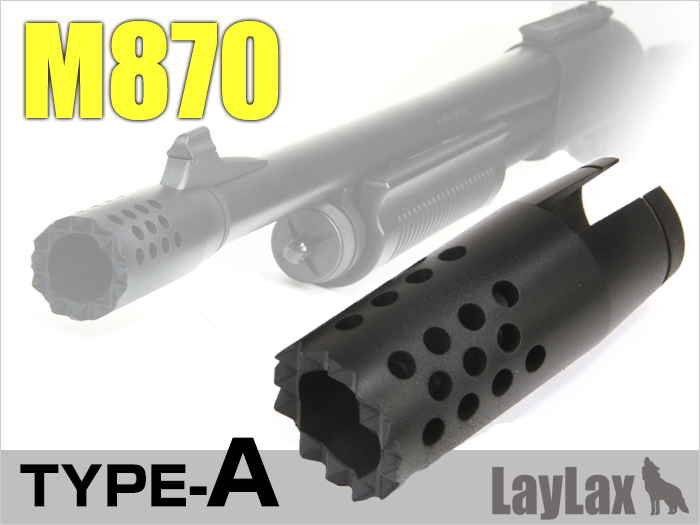 *Must have item for M87 exterior custom upgrade! 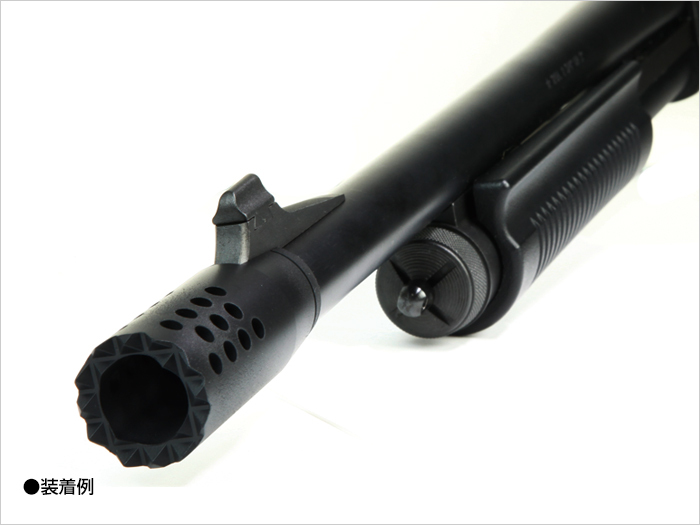 The spike hider on shotgun is a must have item for steady aiming as a barricade stop during CQB games. 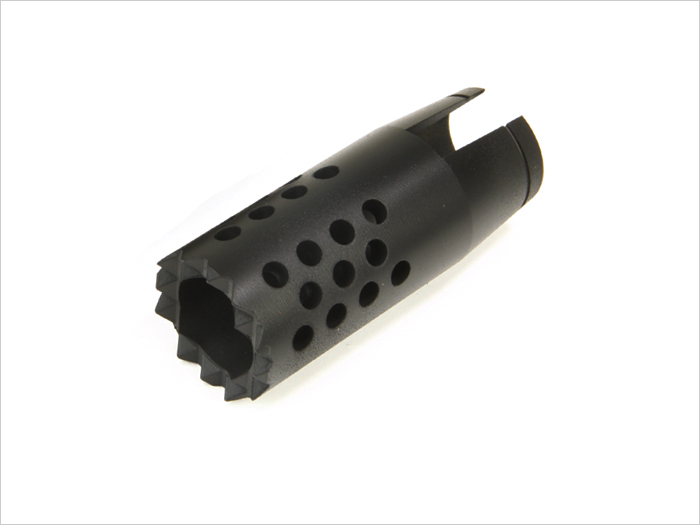 The aggressive looks of this this “M87 strike hider “will also put pressure on your enemy with its full on presence!! Available in 2 types “Type A” and “Type B” for indoor games, and field games. 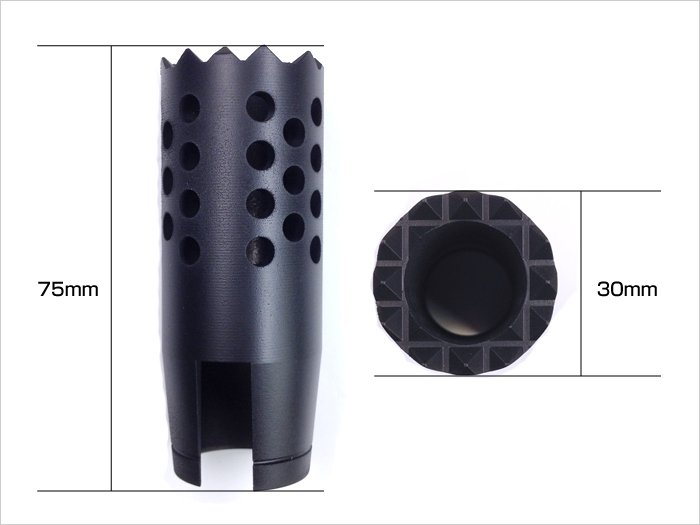 This “Type A “ Strike hider with circle holes design is for indoor games.